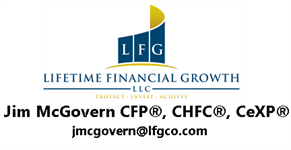 At Lifetime Financial Growth, we have developed a process that is both high touch and high tech. We believe this combination allows us to address our clients’ goals through a holistic approach, create customized strategies, and offer ongoing coaching to help them stay on track. Our process is high touch because of our commitment to personalized service within a holistic financial planning model. When first meeting with clients, we take the time to understand them and what they’re looking for in an advisor, including their current financial situation, their needs for today, and their goals for tomorrow. Over the course of several sessions, we look at wealth building and protection strategies, cash flow design, debt and tax management, and more in order to create a customized and comprehensive financial plan that can grow with the client over the years. Beyond the initial development of a plan and ongoing monitoring, we offer a unique mentoring program, The Freedom Coach Program™, to clients who want to be more actively engaged with their financial plan. Working closely one-on-one or with other people in a group setting, we help clients identify the common gaps in their planning and work to close them in order to help have a better opportunity for growing and protecting wealth.